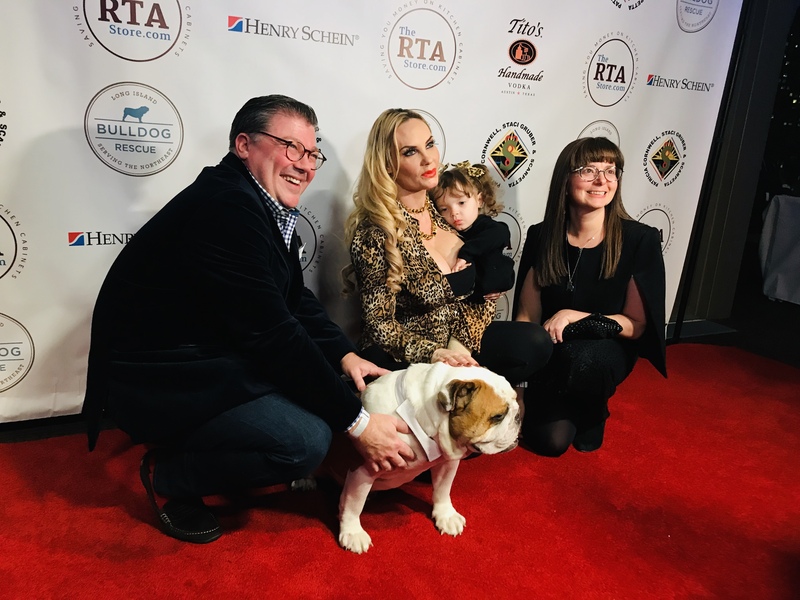 Coco with baby Chanel Nicole & Maximus joined Long Island Bulldog Rescue with Jill Rappaport, Animal Advocate as they host their annual Bash for Bulldogs at the Rosenthal Pavilion at the NYU Kimmel Center. 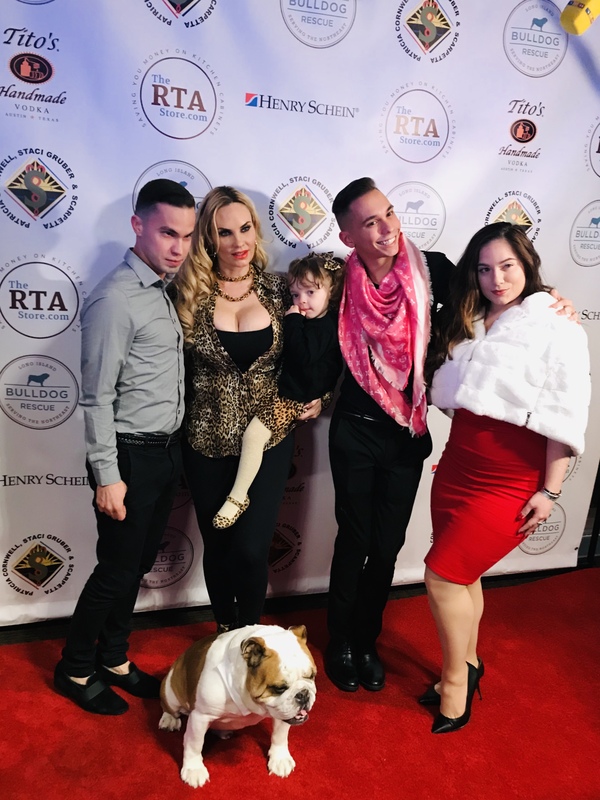 The goal of the event helped Long Island Bulldog Rescue raise urgently needed funds to help ground-breaking New York based-Long Island Bulldog Rescue (LIBR) help, heal and home a skyrocketing number of loving dogs in desperate need of forever families. The holiday season is when many dogs are abandoned while their owners attend parties or go on vacation. People are often forced to surrender their dogs after health and other circumstances make it impossible to care for their dogs. Whether abandoned or surrendered by heartbroken families, the dogs face imminent death. LIBR can only save as many as they can afford to help, heal and home. Ice T, who is often seen with his wife Coco, was unable to attend the evening Bash. Susan Traub owner of Royal Animals donated NYPD and FDNY dog coats and sweaters which helped raise almost $1,000 during the live auction. Maximus, Ice T and Coco’s bulldog enjoyed Sabrini’s treats wild salmon ones after he was gifted with his very own NYPD sweater from Royal Animals.